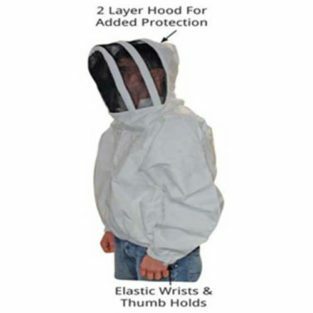 This comfortable lightweight bee suit comes with a square veil that fully zippers onto the suit. Elastic at the wrist and ankle. 50/50 cotton/polyester, machine wash and line dry, remove veil before laundering. Helmet sold separately.